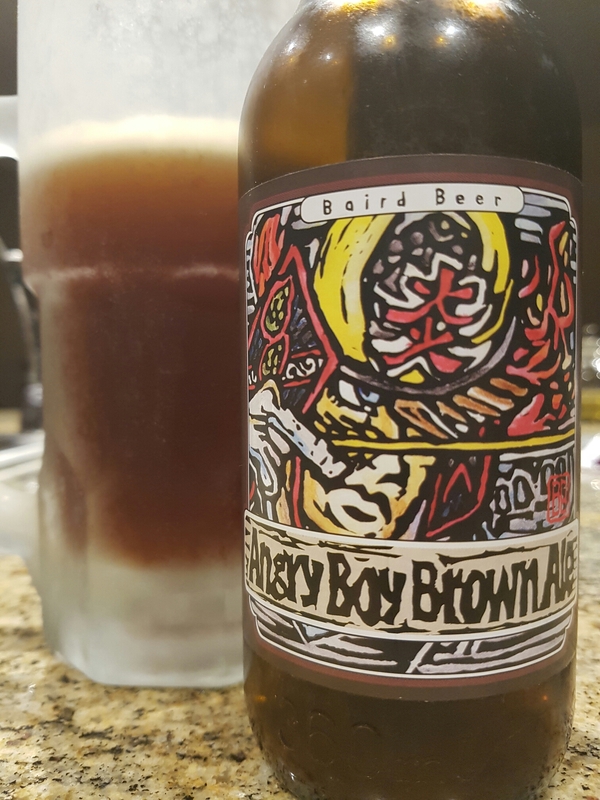 Angry Boy Brown Ale – Baird Brewing (Numazu, Shizuoka, Japan) | Justintoxicated. Visual: (cellared for 4 years). Pours muddy nutty brown with smallish dissipating head, thin layer of micro retention mixed with some big bubbles, clustered steady effervescence. Finish: woody toasted-burnt barley malt exhale, stealth subtle very soft lingering hopped bitter. 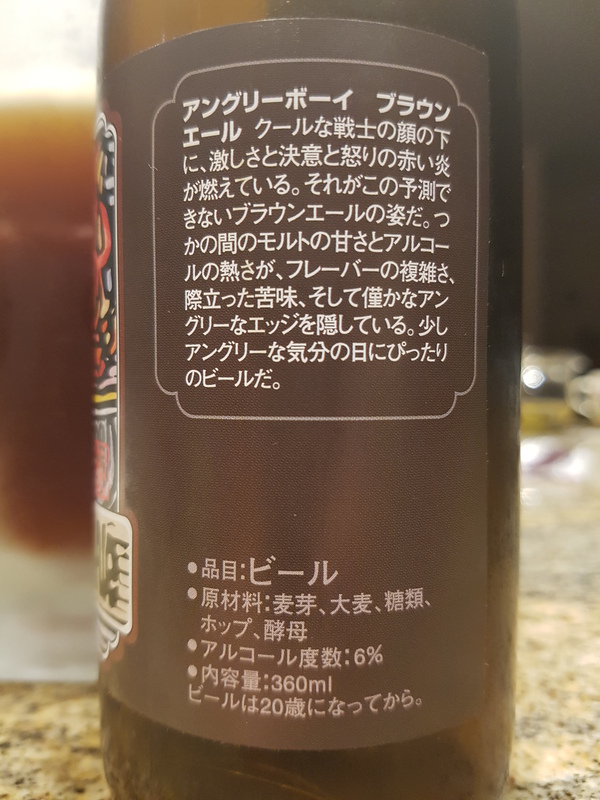 Summary: Oh so smooth and balanced brown ale with good complexity. Delicious. Delicious yet not a beer that you’de recommend. Curious and curiouser. Can’t risk the masses causing a shortage. Actually, good catch, corrected – Thank you! Hope you try it some day.